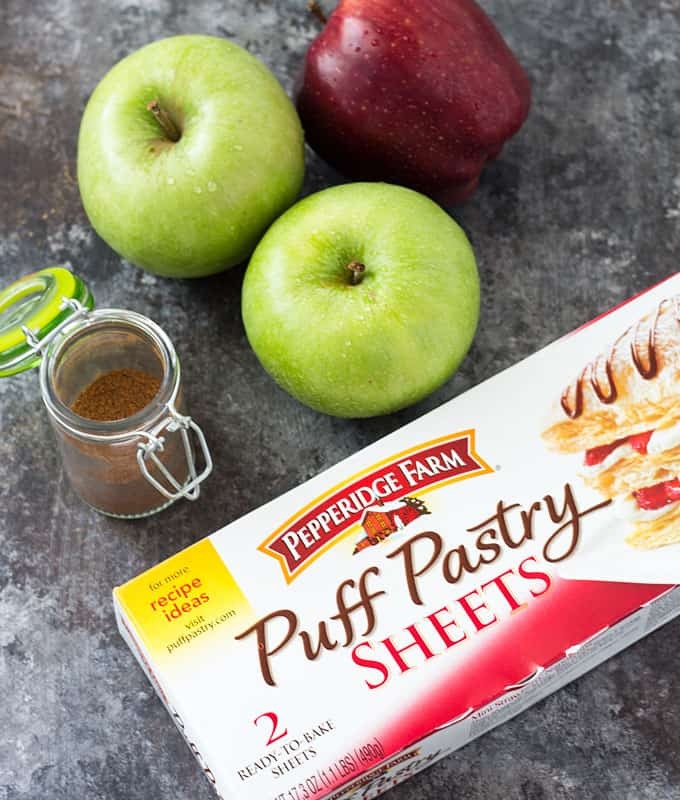 Most of the ingredients are staple pantry ingredients… then you’ll need some fresh apples and puff pastry sheets. 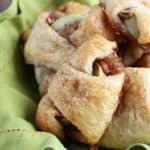 I also used apple pie spice in this recipe. 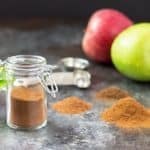 If you don’t have apple pie spice, I have a simple recipe for it here. So many buttery layers of goodness on top of those perfectly seasoned apples! 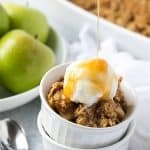 Start by chopping some apples into small pieces and tossing them in a mixture of flour, sugar and apple pie spice. 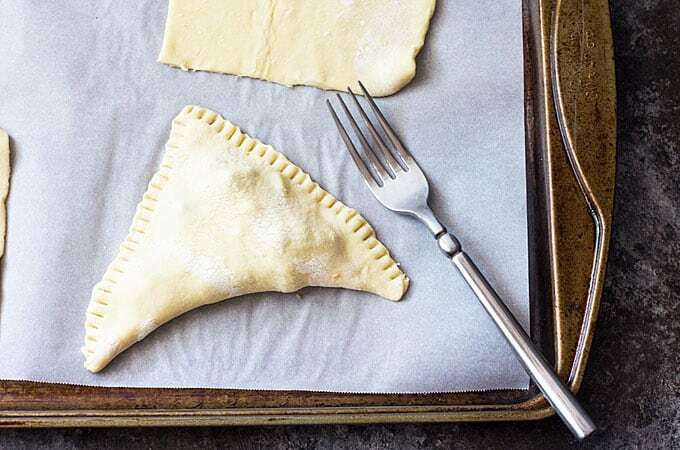 Cut the puff pastry sheets evenly into 4 squares. 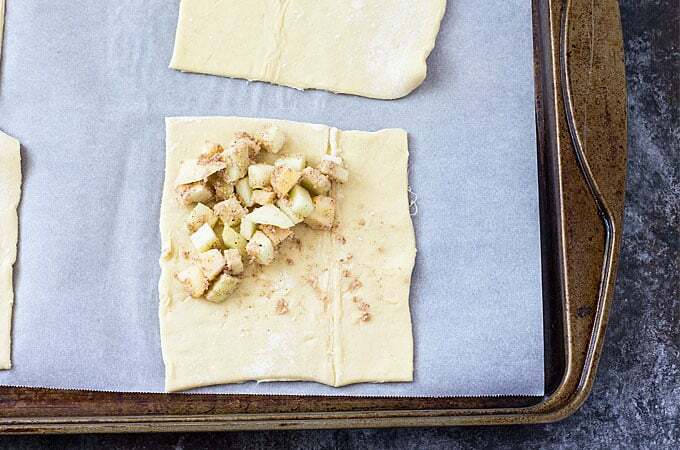 Spoon the apple mixture in the corner half of each puff pastry square. Fold to make a triangle, press the edges together, then crimp the edges with a fork to seal. Brush with melted butter and sprinkle more apple pie spice on top. 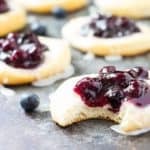 Bake and drizzle with a simple glaze. Ohhhhh soooooo good! These would also be great with vanilla ice cream, but I loved them just as they were. Preheat your oven to 400 degrees F. Line a large baking sheet with parchment paper or a baking mat. Whisk together sugar, flour and apple pie spice in a large bowl. Add chopped apples and toss to coat evenly. Set aside. 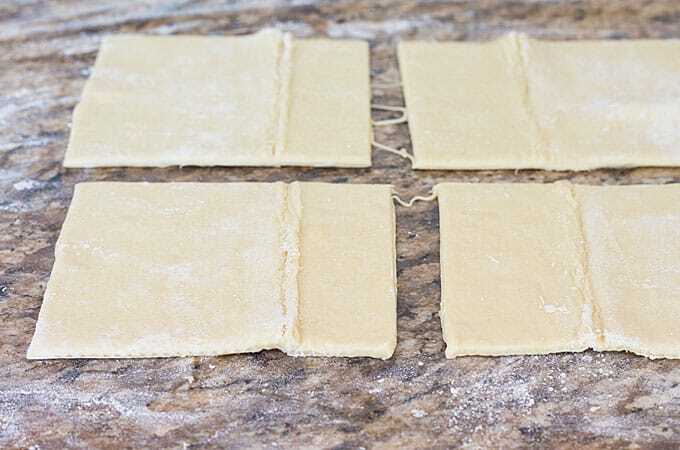 On a lightly floured surface, roll out puff pastry sheets and cut each sheet into 4 even squares. 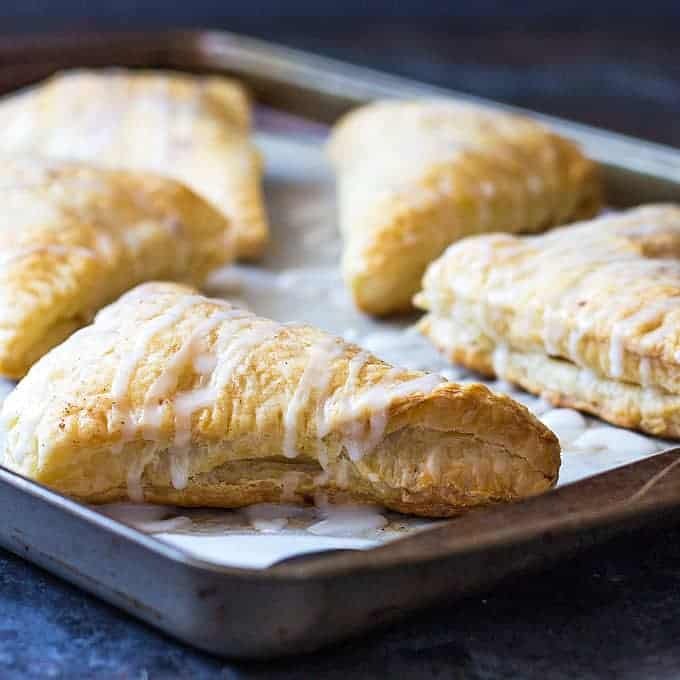 Place puff pastry squares on the baking sheet. 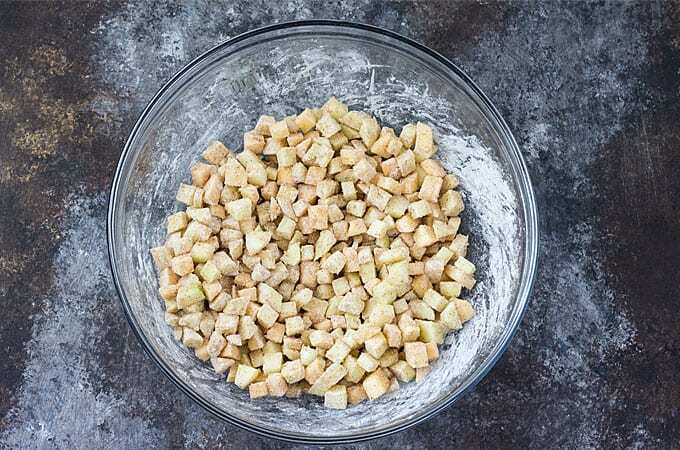 Spoon apple mixture (about 1/4 cup for each square) into the corner half of each square and fold to make a triangle. Press edges together, then press edges with a fork to crimp and seal. 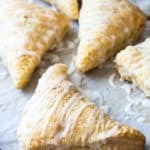 Brush the tops of each turnover with melted butter and sprinkle with additional apple pie spice. Bake for 16-20 minutes, or until golden brown. 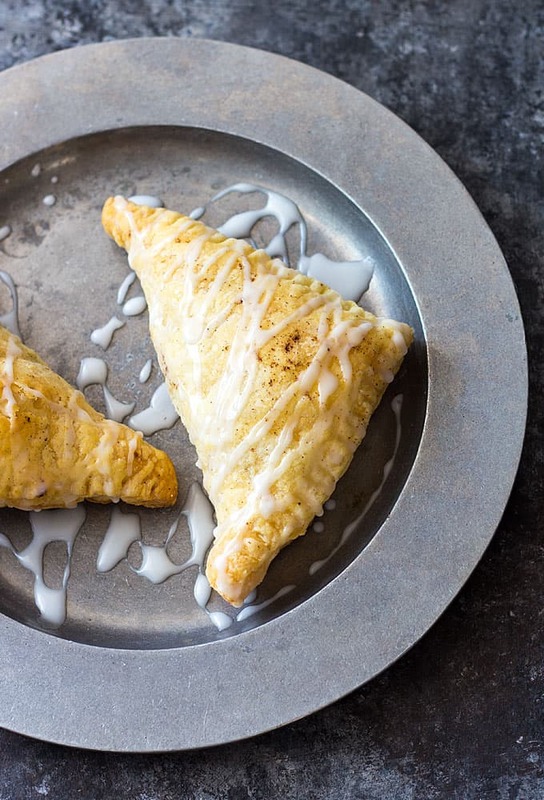 While turnovers are baking, prepare the glaze by stirring together powdered sugar and water (or milk) until smooth. Do you have to put flour in with the apples? What exactly does that do? These are so delicious! I made a batch tonight and I just can’t get enough! 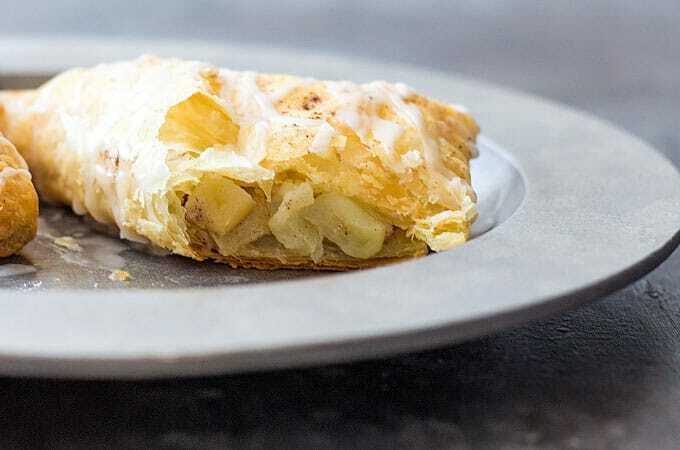 Puff pastry is a perfect match for apple turnovers. 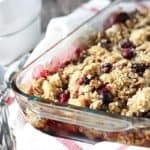 🙂 Thanks for sharing a great recipe! 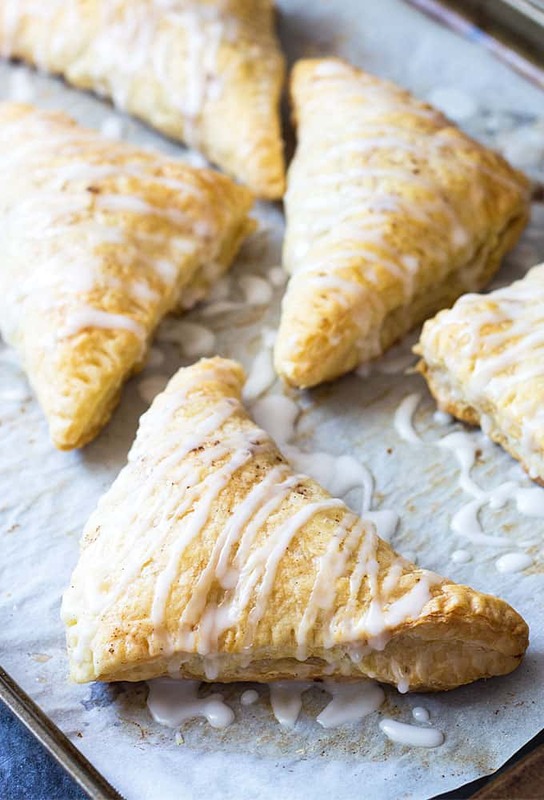 ONE TIME, I MADE A MINI VERSION OF THESE FOR A SUPERBOWL PARTY. 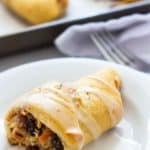 SINCE THEN, I CONSTANTLY GET REQUESTS TO MAKE THESE WHEN I ASK, “WHAT CAN I BRING?” IT IS A GREAT, EASY RECIPE THAT IS MY NEW GO-TO WHEN I NEED TO WHIP UP SOME WORK IN THE KITCHEN! THANK YOU FOR SHARING! PS. I SOMETIMES SUB SUGAR FOR HONEY AND A LITTLE BOURBON AND IT IS PRETTY DAMN GOOD! Thank you so much, Marie… ohhhhh the the honey and bourbon sounds AMAZING!! !